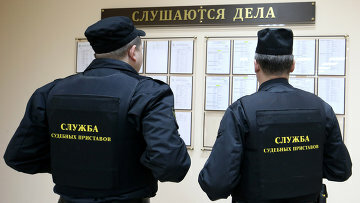 Russian government supports bill on online communication with court bailiffs | Russian Legal Information Agency (RAPSI). MOSCOW, September 28 (RAPSI) – Russian government has supported a bill granting citizens an option to communicate with court bailiffs online, the statement of the State Duma reads. According to the bill, any information, obtained during court ruling enforcement proceedings, will be available to all involved parties in the form of digital documents placed at the special website for state services. Authors of the bill note that while using the website, a person may receive notifications from bailiffs and see the so-called court debt. The bill instead makes all relevant information visible, so not only a debtor would be aware of the debt, but also a creditor would be able to see the measures taken by a bailiff. Also, it would be possible to appeal actions or inactivity of a court bailiff at the same website, the bill reads. 13:50 28/09/2018 Russian government has supported a bill granting citizens an option to communicate with court bailiffs online.